Traders have alleged that Pricewaterhouse Coopers(PwC) is a mouthpiece of global e-commerce giants and that it was misleading the policy makers. It also asked PwC to prove the veracity of the figures mentioned in a "draft analysis report" which had reportedly estimated the impact of the FDI curbs on the sector. However, PwC denied the existence of any such report and termed media reports as incorrect. Reuters on Wednesday had reported that a draft analysis report by PwC found that the gross-merchandise value of goods sold online would dip drastically below previous forecasts, reducing by $45.2 billion in the next three years. The analysis also said the policy will lead to the creation of 1.1 million fewer jobs than what had been previously expected and lead to a reduction of $6 billion in taxes collected by March 2022, the news agency reported. Reacting to the report, Confederation of All India Traders (CAIT): "we highly refute the said report and analysis and challenge the PwC for an open debate on this report at any open platform. PwC is attempting to mislead the nation and policy makers to help global e commerce players. It is a sinister design of the PwC and a highly manipulated game of global players and PwC is pretending to be their mouth piece". PwC should prove the veracity of its figures before releasing such a report. If the figures are inflated, PwC need to publicly apologise for running a campaign for vested interest groups, demanded CAIT. According to the traders’ body, the said report is quite baseless, concocted and jugglery of figures and at attempt by PwC to mislead the country. The report has come at a time when the Government is taking serious and stiff measures to enforce the FDI policy in e commerce. “FDI policy is in implementation since 2016 and the recent Press Note of the Government is merely a clarification of the policy. There is nothing new in the policy. Then why the PWC is making an analysis now and calling the clarifications as curbs. The report of the PWC is nothing but an exercise of indirectly influencing and pressurising the government to bring amendments as sought by global e-commerce players. In other words, PWC is also a part of unholy nexus of global e-commerce companies, US Chambers, Indian industry organisations and foreign investors,’ said CAIT Secretary General Praveen Khandelwal. As per agency reports, PwC had said that they had used data provided by the industry and publicly available information and not conducted any independent report. "We call upon PwC to make public the draft analysis, industry resources, what kind of data was made available and what is the information on public domain on the basis of which the report has been released,’ he said. CAIT alleged that whenever the government takes any step not to the liking of global companies or corporate houses, so called research organisations like PWC release such kind of reports trying to discourage the government and others to take any step. It is interesting to note that in such reports they never divulge the resource, sample size or basic fundamentals of the analysis. Reacting to the allegations of CAIT, PwC on Thursday denied the existence of any such report. "PwC denies the existence of any such report on the impact of FDI in e-commerce. The recent media reports attributed to us in this context are incorrect," the consultancy told Financial Chronicle. 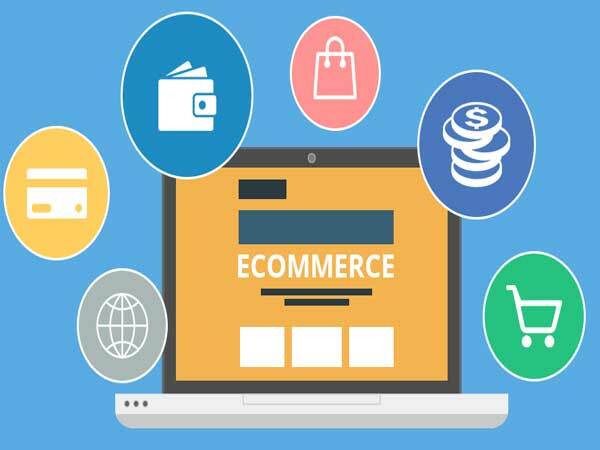 The government had recently issued a notification pertaining to FDI policy in e-commerce by clarifying a few norms and adding a few more. The clarified norms will come into force from February 1. Some of the norms are detrimental to the business e-commerce companies have been doing in India.